Where would we be without cushions! 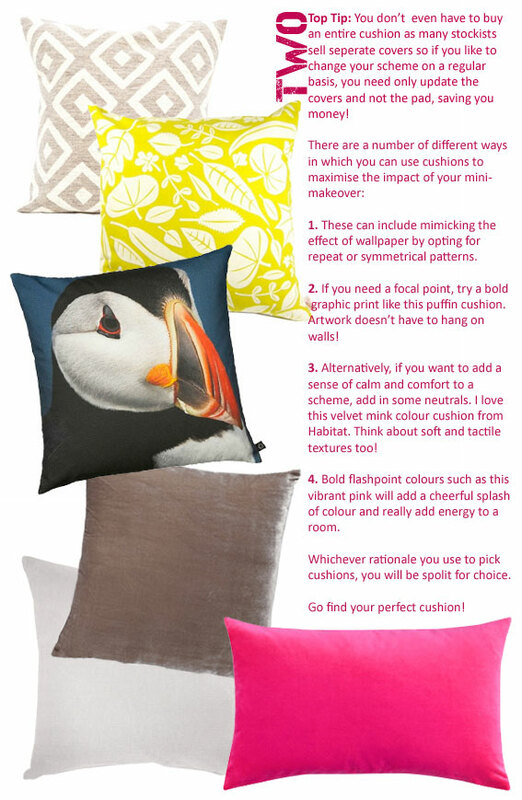 Yes you've guessed it, number two in the list of top mini-makeover tips is the ever present cushion. You will have probably already noticed that cushions are a favourite of mine here at Brit Decor?! They offer so much choice and can be an extremely fast and inexpensive way of giving any room a lift.